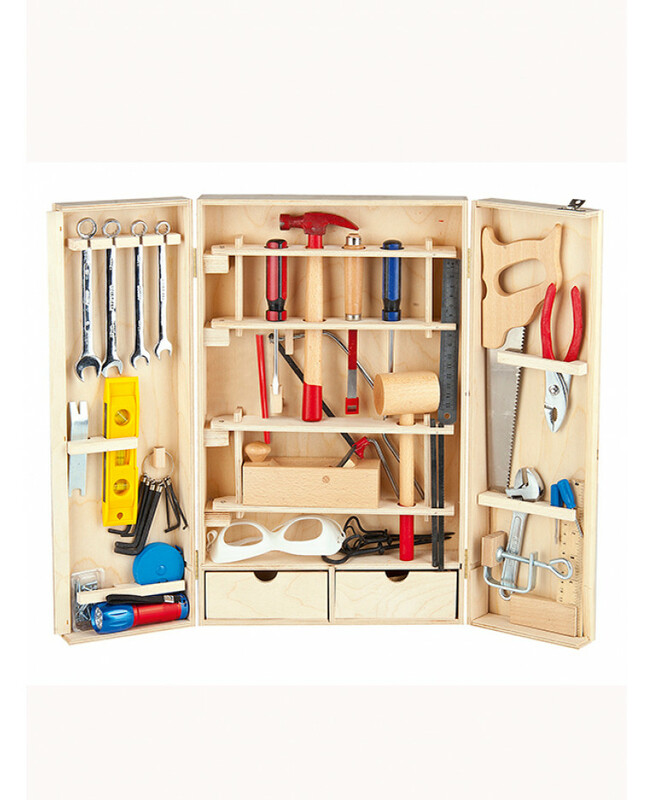 This Tool Set is ideal for the young trainee wishing to learn the basic skills of the trade. 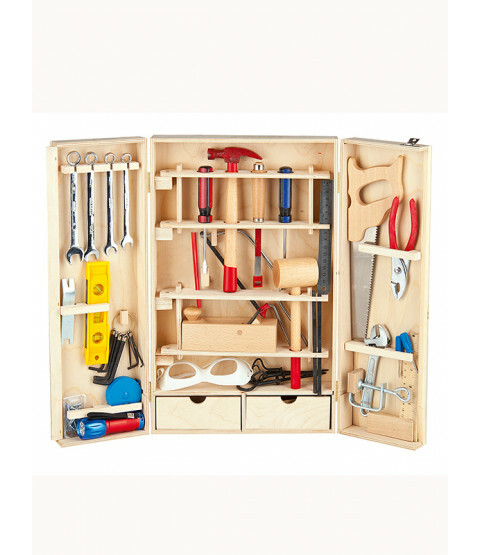 This is all encased inside a wooden tool case to keep all your tools stored safe and neatly away ready to use on your next project. The case opens and stands upright and is also suitable for hanging on a wall. Tools include screwdrivers, spanners, a chisel, spirit level, alan keys, a mallet, steel ruler, wooden square, a clamp, 2 cutting saws, a hammer, pliers and safety goggles.